Are you active on Tumblr and like posting stuff? 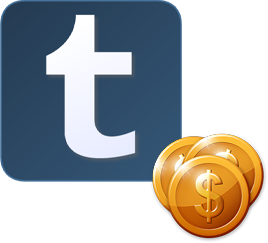 Do you want to earn money by posting interesting content on Tumblr? Viraliti helps you do each of the above from a single platform. Viraliti is the adwords for Social media. It works on a cost per click model so you can earn money for every click that your post receives. Join now and start earning money from home. Influential Tumblr users post about you on their blogs and share it with their followers. Only valid clicks that are generated from the campaign are charged. Tumblr Influencers - How it works? Earn money everytime your post receives a click. So what are you waiting for. Join Viraliti and start making money on Tumblr. Viraliti has a fortnightly payout cycle and a minimum threshold of $30. So whenever your earning reaches $30, the amount will be transferred to your account.